Visitors may recognise Chillingham Castle from its frequent appearences on TV and in films: Elizabeth, The Real Harry Potter, BBC2 Curious House Guests, Most Haunted and I'm Famous and Frightened have all been filmed at Chillingham. The castle is ranked in the top 80 of Simon Jenkins classic work: 'Britains Top 1000 Houses', and is now the home of Sir Humphry Wakefield, Bt. 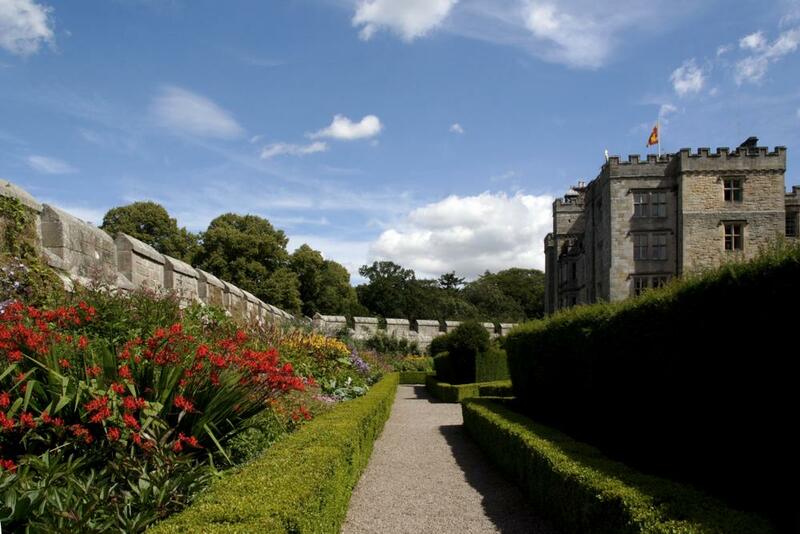 Built as a stronghold in the 12th century, Chillingham didn't become a fully fortified castle until about 200 years later. Occupying an important strategic site, the castle was often besieged during the bloody cross-border feuds that raged in this part of the world. Chillingham frequently played host to Royal visitors at this time. 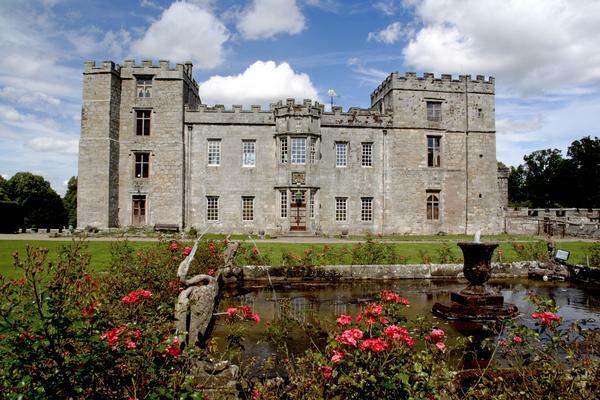 Although there have been alterations to the castle since, particularly in Tudor times, Chillingham retains the appearence and character and strength of a Mediaeval fortress. Later enhancements include landscape gardens created in the 19th Century by Sir Jeffry Wyatville, who had successfully re-modelled Windsor Castle. 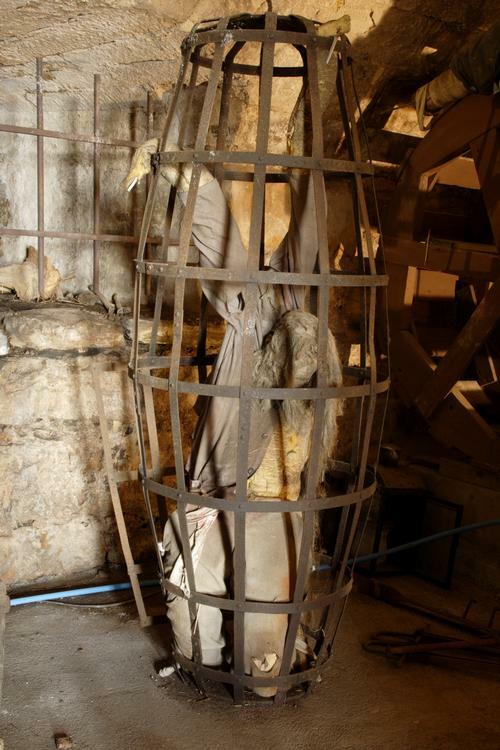 This remarkable castle with its alarming dungeons and torture chamber has, since the twelve-hundreds, been continuously owned by the family of the Earls Grey and their relations. You will see active restoration of complex masonry, metalwork and ornamental plaster as the great halls thrive with day to day life. 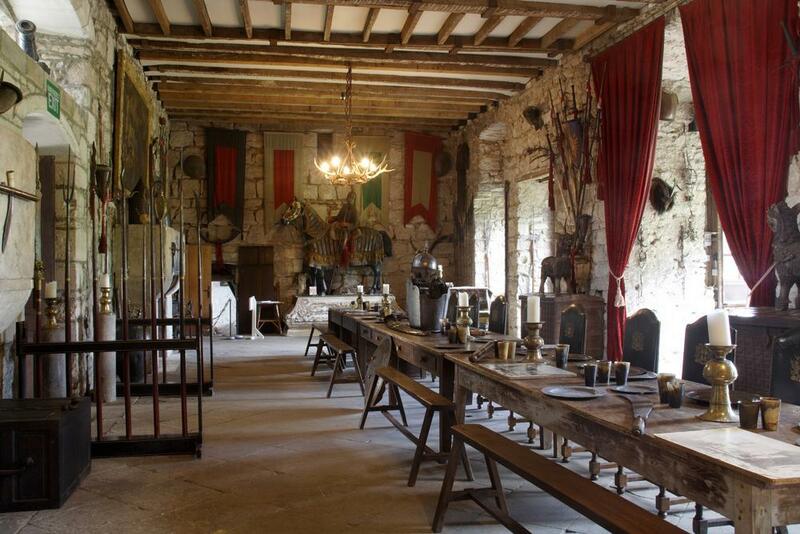 A wide diversity of rooms and style give a refreshing difference to the Castle. Named after the King who visited Chillingham in 1617 the James 1st Drawing Room is famous for its recently restored Elizabethan ceiling with its gilded ribs and pendants. The state rooms are brilliantly furnished with both antique and modern furniture and lined with patterned silk screening hung with paintings and enamels. The Castle Library also displays interesting family memorabilia and has a very fine chimney piece. 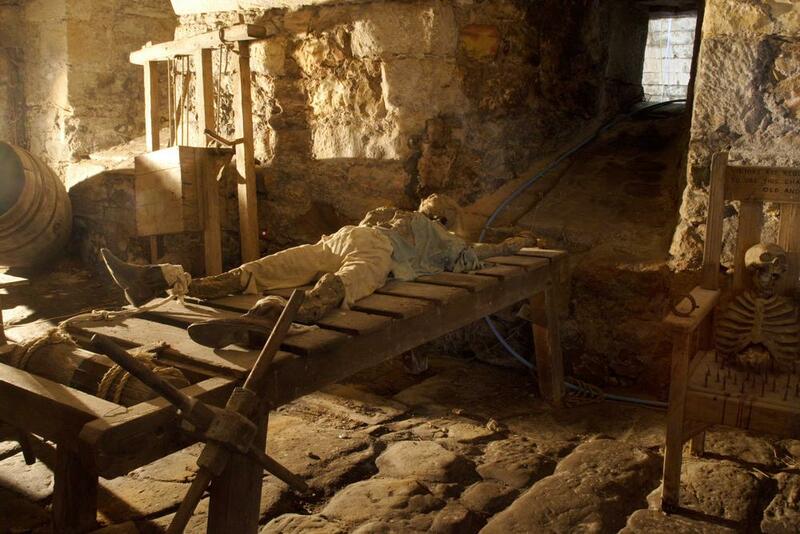 The most ancient room in the castle, the Edward 1st Room is where the Lords of the castle sat well protected and high above the stench below. The room is named after the 1298 visit of proud Edward, 'Hammer of the Scots' King Edward 1st, in 1298, for whom the gothic window was installed. 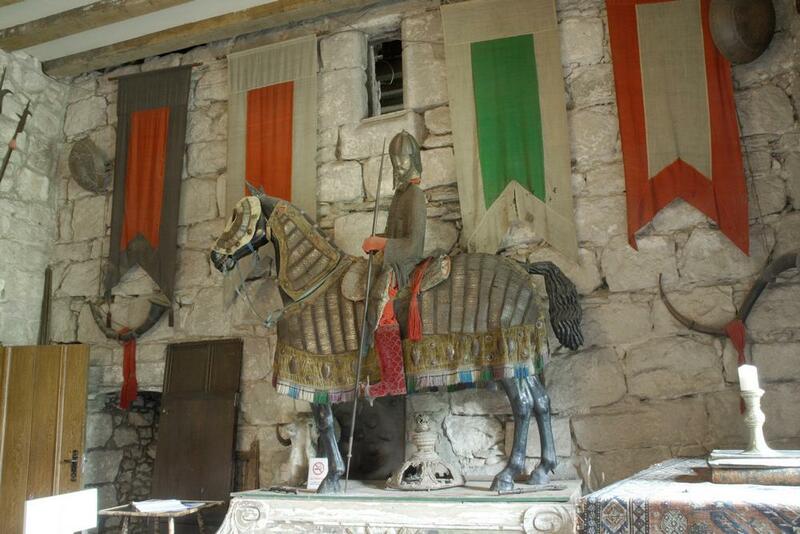 The room has been restored as it was in the 13th century with armour, furniture, weapons and implements of its time. The large Great Hall with its stone flagged floor, tapestries, armour, weapons and heads of deer and wild cattle has an ancient mediaeval atmosphere. The atmospheric Minstrels' Hall, decorated with spears, tapestries and the world record head of a prehistoric elk, has two huge fireplaces which make it a magnificent setting for banquets regularly held here. Both rooms make wonderful settings for a variety of Functions held within the Castle. Situated in romantic grounds, the Castle has commanding views of the surrounding countryside with local farmsteads and the scenic grandeur of the Cheviots. 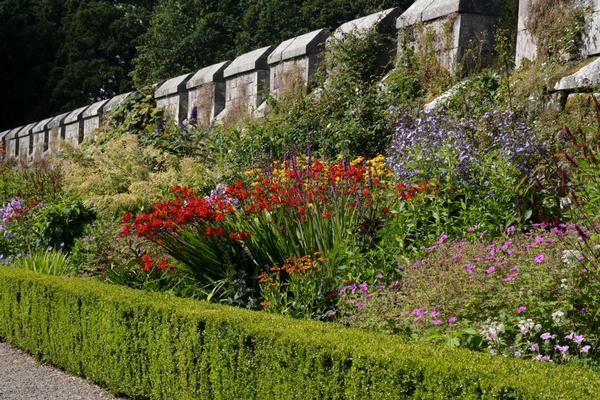 The formal gardens and woodland walks are all fully available to the public. The Italian Garden is a most rare survival from 1828, by Royal garden designer Sir Jeffry de Wyatville. The urns and statues are cheap modern composite copies but help the atmosphere of originality. The famous herbaceous border is the longest in Northern England. The far wall, 15 feet thick, is a jousting grandstand from ancient days. As you walk to the lake you will see, according to season, drifts of snowdrops, daffodils, and bluebells and an astonishing display of rhododendrons. The beautiful lake fringes the park - often you can see the famous Chillingham Wild Cattle in the distance. Badger, fox and deer may be seen, with duck, fish and frogs to the bulrushes. There are many wonderful trees, the finest in the country before the recent storms.